It's a frantically stressful time for all of us students who are going through exams right now. Whatever qualification it may be, be it GCSEs or Masters level, the stress that arises as a result of exams and deadlines can have terrible effects when it is constantly felt. Believe it or not, a lot of the time we get stressed is after we have procrastinated and realised just how much work we still have left to do! So let's not make things worse for our brains and purposely procrastinate - it's not healthy! I find that the best way to control stress levels and avoid mass periods of delaying work is by taking several mini breaks. This way you don't overwork your brain and you won't get bored by being a slave to revision! If you really want to call it procrastination, then I guess it is, but at least it's done in intervals. This is perhaps a more sensible way of procrastinating. Here are some mini breaks I like to take. They don't take longer than 10 minutes each! Ice-cream, iced lollies... since exam season is during summer, you may as well get into the summer spirit even just for 5 minutes by eating some iced goodies! 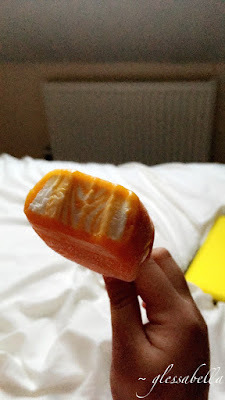 Fruit pops are probably best for these sort of breaks because they're a little lighter than the dairy-filled ice-cream cones, meaning they won't make you feel as bad afterwards. You can count this break as a nice reward for successfully completing the notes on those two lectures you absolutely did not enjoy learning about. When I say meditation, I don't necessarily mean you need to achieve a deep state of alleviation. Simply taking a few deep breaths while your eyes are closed for a few seconds is enough. Sometimes we try and cram so much information into our brains that we forget that information would actually process better if we just stopped thinking for just a short moment. Okay, so this one might not take around 10 minutes but it really does help! Even if you just put on a shower cap and get in the shower for a few minutes, you can metaphorically wash away all of your stress and/or negativity! Seriously though, it helps. You'll feel clean and refreshed, and besides, people tend to get the best ideas in the shower so you might just end up solving the answer to that practice question you've been pondering over! I love me some good herbal tea. If you're a tea enthusiast like I am, you can never go wrong with drinking a cup of tea as a short break. Tea is very soothing and can easily relieve you from the high levels of cortisol in your system. It doesn't matter what tea - earl grey, camomile, jasmine green... whatever tickles your fancy! At some point you'll probably end up getting sick of the sight of your study space, so why not go for a short walk? A lil' bit of exercise always does you good and you can get some fresh air at the same time. It's nearing the end of spring so enjoy the blooming flowers and the busy wildlife. There are probably a hundred more ways you can take short breaks, but these are my favourite few. It just goes to show that you really can deal with stress in a manageable way if you take just enough time away from revision and remember to relax every so often. Although these actions may seem small, they have a big effect on your state of mind in the long run. Remember not to work too hard, but remember not to be too relaxed either. Either extremes can leave you stressed in different ways; even if you don't feel like your stressed, your mind and/or body are probably reacting in some way to the pressure of this exam and deadline period. Don't let your judgement be clouded and be sensible with how you manage your time. In my opinion, it's okay to procrastinate a little bit... but for goodness sake, whatever you do, don't be tempted by your phone or the powerful vortex of procrastination that is the Internet - it's sooooo hard to get back into the groove once you've been sucked in! !